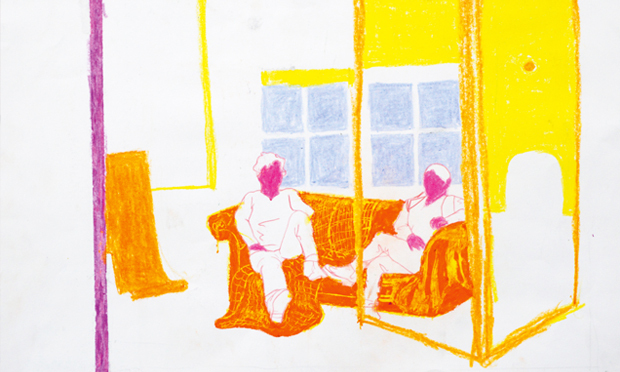 Drawing, said David Hockney, helps you put your thoughts in order and can make you think in different ways. If that is true then drawing should be an attractive proposition for young people trying to make sense of their impending adulthood and the world around them. Next month the Royal Drawing School will be displaying 250 drawings by members of its Young Associates Programme. These budding artists are all aged 10–18 and for many it will be their first chance to show work in a professionally-curated public exhibition in Shoreditch. Axel Scheffler, illustrator of The Gruffalo, one of the most popular children’s book of recent times, was impressed with the work on display at last year’s exhibition, but warned the artists that becoming a professional takes dedication. “It took me a long time to become an illustrator. I had work constantly after leaving college but it took 13 years as an illustrator before The Gruffalo came along,” he said. However, Scheffler describes drawing as a “brilliant human activity” and says children should start drawing “as soon as they can hold a pencil”. “The younger you start the better you will become,” he says. “Drawing is just a great activity to establish a relationship with the world. You observe what’s outside but you can also express what’s inside you and try lots of different techniques. Judging by some of the works set for inclusion in the show, the standard looks to be high, with portraits and observational drawings in a range of styles. The Royal Drawing School was set up in 2000 as the Prince’s Drawing School to address concerns that drawing was falling off the map as an essential skill for art students. Supported by the Prince of Wales, it received its ‘royal’ title in 2014. At the time Grayson Perry said: “In the 21st century – with all our amazing digital technology – drawing remains a skill that is as important and relevant as ever.